The Ministry of Testing has called all testers to take a 30-day testing challenge. Check it out and think about joining in. The Ministry of Testing has called all testers to take a 30-day testing challenge. For each day of July, there is a new task to do related to the world of testing. At Abstracta, we decided, since we test Monday through Friday anyway, why not join in on the fun? The challenge will ultimately help us to become better testers, which is what we always strive to do. 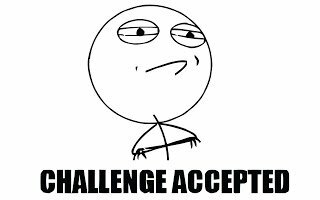 So, we printed out dozens of copies of the challenge and hung them all over our offices, encouraging all of our testers to participate. Some of our teams have created groups that want to compete against each other in some (hopefully healthy) competition to amp up the motivation to complete it. Starting today, we will be working on each task every day, updating this post once a week with our progress and using the hashtag, #30daysoftesting on social media. Will you take the challenge? For more information about the rules, go here.